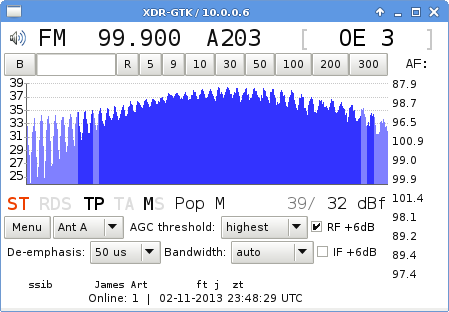 I am pleased to announce that the long-awaited 1.0 version of XDR-GTK has just been released. As usually, XDR-I2C upgrade to the latest version (2016-04-20) is also required. XDR-GTK v0.3 is now available. The XDR-I2C update via Arduino IDE is also required this time. 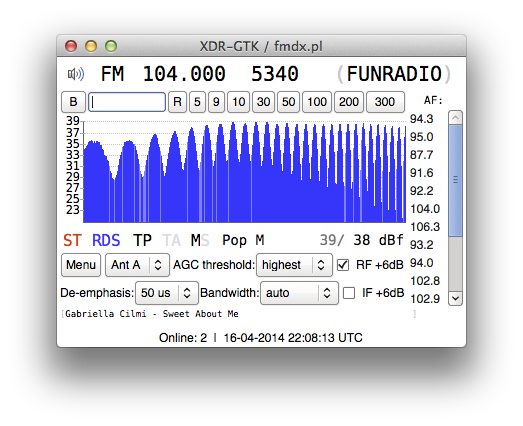 XDR-GTK finally available for OS X! I have finally managed to make XDR-GTK working under OS X! Complete binary of 0.2.2 version is available under this link. The installation process is pretty simple, anyway I have added description in XDR-GTK page. You can also read more info about this release in previous Konrad’s post, here ;).